Guardiola's men struggled to win their last match. Can The Cherries put a dent to their title hopes with their first victory since they returned to the EPL? What has been Bournemouth and Manchester City's form ahead of this match? In our match analysis informing you how to watch Arsenal's Premier League clash with Bournemouth on Wednesday, we compare team statistics and analyze both teams’their head-to-head record. Arsenal heads into this game on the back of a two-game winning streak in the league and has won three of their last four games. They are unbeaten in their last three home outings but the Gunners have still lost twice in their last six matches. The Citizens can't afford to drop points if they want to keep the top spot in the Premier League, while Liverpool will try to recover that spot when they face Bournemouth. The Reds can't afford to drop points if they want to keep their title chances alive. Full broadcast details to watch this game around the world here. What has been Liverpool and Bournemouth's form ahead of this match? It was a special result for the Bluebirds. The supporters were not happy with the team's performance and thus waited for the boss to emerge from the dressing room. The aftermath of Chelsea's embarrassing loss at Bournemouth continues, with the Sun revealing that the manager was confronted by angry fans after that unforgettable loss. The Argentine international had a day to forget in his first taste of the English Premier League. Bournemouth vs Chelsea, Liverpool vs Leicester, Tottenham vs Watford, Atalanta vs Juventus, and Barcelona vs Sevilla comprise our list of must-watch games on Wednesday. Catch this game at 14:45 ET/19:45 GMT on NBC Sports, UNIVERSO, and Telemundo Deportes En Vivo in the USA; Sportsnet in Canada; and Optus Sport in Australia. New signing Gonazlo Higuain is line to make his Premier League debut as Chelsea travel to face Bournemouth on Wednesday. LiveSoccerTV's match preview provides head to head analysis, team news, and global broadcast listings for Bournemouth vs Chelsea. Another Manchester United game, another longstanding milestone reached. Paul Pogba stands among a host of Manchester United players who have seemingly found their mojo under interim boss Ole Gunnar Solskjaer and he once again lived up to the billing with a superb performance against Bournemouth on Sunday. Juventus vs Sampdoria, Tottenham vs Wolves, Liverpool vs Arsenal, Southampton vs Man City, and Man United vs Bournemouth comprise our list of must-watch games for this weekend. 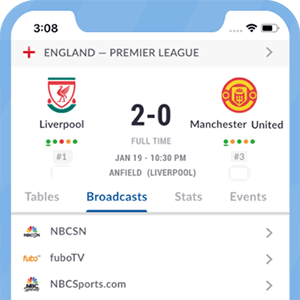 Interestingly, no television network in the UK will air Tottenham Hotspur vs Bournemouth live on Wednesday although fans in USA watch on NBC Sports Gold. What are the current positions of Tottenham and Bournemouth on the league table? Tottenham currently ranks third with 42 points and trails league leads Liverpool by just six points. Bournemouth sits in eighth with 28 points after 18 matches. Bournemouth will be hoping to make history as they take on Chelsea at Stamford Bridge. Tune into Chelsea vs. Bournemouth on ESPN+ in the USA and Talksport 2 Radio UK in the UK. If you needed one more example to acknowledge just how humble Mohamed Salah is, this will leave no doubt about his greatness both on and off the pitch. And the Egyptian ace completed his three-goal haul by making a mockery of Begovic and the Cherries defense. After what had been an unimpressive start to the season for Mo Salah, the Egyptian has found his groove back. Many had begun to wonder if he is a one-season wonder, but the attacker silenced those critics in epic fashion on Saturday.